Last year, we were thrilled to welcome our partner, CAA South Central Ontario, as guest bloggers here on PumpTalk. This time they're here to share their checklist for preparing your vehicle for its annual battle with Old Man Winter. It won't be long before the bitter cold arrives and the first snowflakes fly. 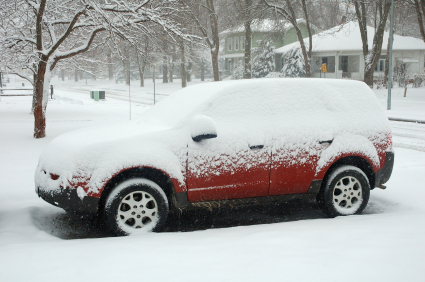 Before you reach for the parka and snow shovel, be sure to prep your vehicle for the winter driving months. Battery: Have your battery tested by a trained technician. Replace weak batteries before they fail. Belts and Hoses: Replace belts that are cracked or frayed and hoses that are worn or brittle. Tires: Tire pressure can be reduced in cold weather, so check tire pressures frequently and maintain the manufacturer's recommended pressure (you can find this information on the driver's side door jamb). Also, be sure to install four matching winter tires. The best time to switch from all-season tires to winter tires is when the temperature reaches 7°C or below. Windshield wipers: Replace wiper blades if they do not clear the glass in a single swipe without streaking and top up your washer fluid. While preventative measures can go a long way toward keeping you driving safely on the road, unexpected weather or vehicle problems may still happen when you least expect them. Remember to pack an emergency roadside kit and keep it in your car all season. Include a mobile phone and car charger, blankets, flashlight with extra batteries, first-aid kit, bottled water, a small shovel, ice scraper, snow brush, booster cables and extra clothing. Be sure to check out CAA South Central Ontario's Winter Driving Guide for more great safety tips this season! Have you prepped your vehicle for winter yet? Very good and Informative advice..Thanks for sharing!! !